Start every morning with a laugh when you hang this 'Mr. Right & Mrs. 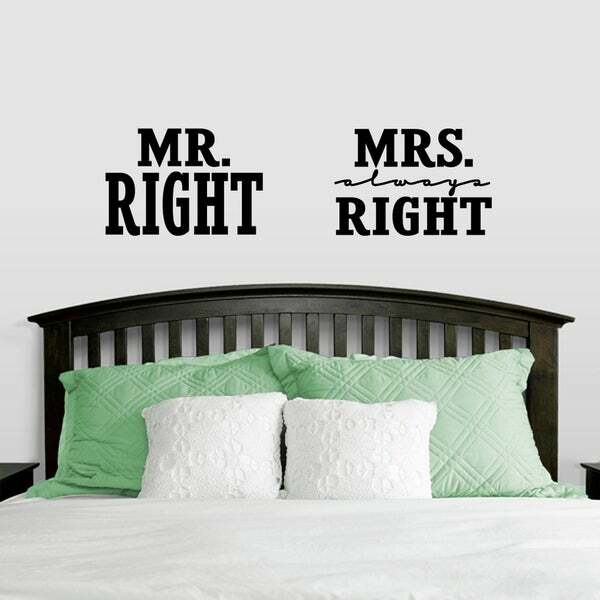 Always Right' wall decal set in your master bedroom. Apply these decals effortlessly, thanks to the included, easy-to-use applicator card and sticky transfer tape backing. This set includes two separate decals, making it easy to apply each one on the right side of the bed, over a nightstand, or wherever else you wish.